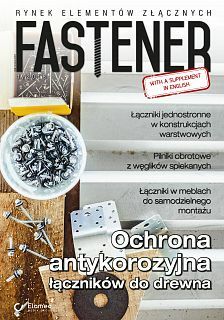 This is the first issue of the Fastener magazine in this year. With the aim of the constant development, we added a section in English, which will help us reach an even bigger circle of Polish and international recipients. 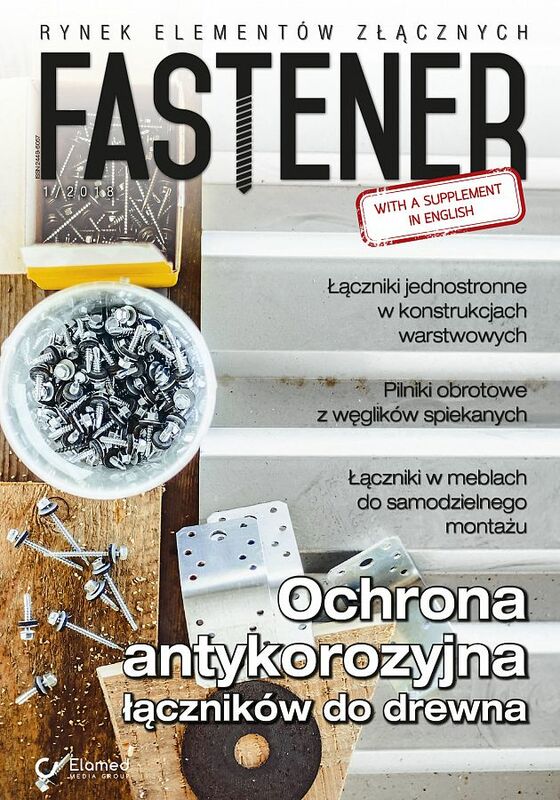 In this issue, we focused on the theme of the use of rivet joins of rivet jointsin sandwich panels; fasteners made of steels other than stainless steel and realase from first FASTENER FAIR in Poland but not only, you can find there the latest and most interesting news from the fasteners market and a lot of practical knowledge. On 5th December the European Union implemented important changes to it's anti-dumping and anti-subsidy legislation and the European Commission published a report on state induced distortions existing in China. The first edition of the International Trade Fair for Fastener and Fixing Technology – FASTENER POLAND, which took place on 28-30 November 2017, fulfilled the expectations of even the most demanding visitors. There’s keen industry interest in Fastener Fair Italy 2018, which takes place on 26 and 27 September 2018 and is set to be even bigger and better than the first event two years ago. Fastener Fair Italy 2018 is being held at MiCo – Milano Congressi in the centre of Milan. The Taiwan International Fastener Show, the third largest exhibition of it's kind in the world and the second largest in Asia, will be held at the Kaohsiung Exhibition Center on Tuesday, April 10 to Thursday, April 12, 2018. Properties of stainless steels used for the production of bolt and nut assemblies were discussed in the paper along with performance characteristics of these assemblies. In this part, properties and scope of application of bolts and nuts made of steels other than stainless steel are presented. Various fasteners made of non-ferrous metals and plastics shall be discussed in a separate paper.